The site is Greg's Cable Map, and it allows you to explore particular cables interactively. 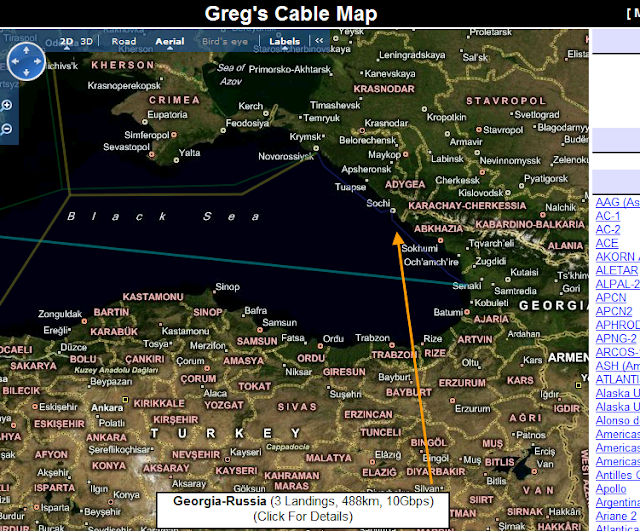 Apparently, Georgia and Russia are connected via a cable running to Sochi. No cable is running across the Caspian yet. If anyone has any idea how up-to-date these maps are, let us know.